The Institute can boast of the finest tourism and hospitality education facilities in the country. 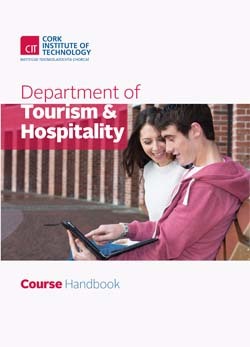 The Department of Tourism & Hospitality has state of the art facilities for all its courses which comprise extensive specialist tourism education and training facilities, (two production kitchens, five specialist kitchens, two restaurants and a training bar), Front Office Reception room, general classrooms and lecture theatres, as well as Information Technology laboratories and a complete range of administration and support facilities. Click here for the list of recent national and international awards won by students of the Department of Tourism & Hospitality. The aim of this course is to develop advanced Culinary Art skills of a specialised nature. The emphasis is on extending culinary knowledge and ability in a flexible and imaginative manner towards excellence, innovation and artistic merit. This hands-on course provides skills and knowledge in the areas of cooking, enabling them to produce safe, nutritious and wholesome foods. The student will learn different techniques and processes associated with culinary hot and cold dishes from both traditional Irish and International Cuisines. This course provides skills and knowledge in the areas associated with modern pastries and breads. It is suitable as a foundation course or to build on existing skills. This course provides skills and knowledge in the areas of modern pastries. This course is suitable for those with a knowledge of food and basic camera skills. Students are required to bring their own digital camera to class and will need access to a camera tripod. Students will have access to photoshop, and a photographic studio with a studio lighting session during their studies. This course is designed specifically with the needs of the hospitality and tourism sector in mind. It is ideally suited to existing Supervisors who have not previously had the opportunity to formally develop their supervisory and management skills. The area of Revenue Management in the hospitality industry is of increasing importance in the overall strategic direction of the organisation. This course explores the rationale, theory and practice of Revenue Management and Distribution, which seeks to maximise the revenue and profit generated by the limited capacity associated with hospitality businesses. This course aims to give participants an introduction to the knowledge, skills and aptitude necessary to become competent bartenders. An introduction to the world of cocktails, establishing a practical base in the methods of cocktail preparation and service.